This article is about the traditional schools of recitation. For rules governing pronunciation, see Tajwid. For hymnody, see Tarteel. In Islam, Qira'at, which means literally the readings, terminologically means the method of recitation. Traditionally, there are ten recognised schools of qira'at, and each one derives its name from a famous reader of Quran recitation. Each Qira'at is then transmitted via a riwaya (transmission) named after its primary narrator. Each of the riwayas is the whole of the Qur'an as recited by a master in all the variants which are transmitted from him. It is a corpus of recitation. The forms of each recitation are referred to by the notable students of the master who recited them. So we will find the turuq (transmission lines) of so-and-so, the student of the master. Then under the Turuq, there are also the wujuh. We find the wajh of so-and-so from the tariq of so-and-so. There are about twenty riwayat and eighty turuq. Recitation should be done according to rules of pronunciation, intonation, and caesuras established by the Islamic prophet Muhammad, though first recorded in the eighth century CE. The most popular reading is that of Hafs on the authority of `Asim. Similarly, each melodic passage centers on a single tone level, but the melodic contour and melodic passages are largely shaped by the reading rules, creating passages of different lengths whose temporal expansion is defined through caesuras. Skilled readers may read professionally for mosques in cities. According to hadith literature, the Quran is revealed in seven Ahruf (the plural of harf). The most famous of those hadiths is reported in the Muwatta compiled by Malik ibn Anas. Abd Al-Rahman Ibn Abd al-Qari narrated: " Umar Ibn al-Khattab said before me: I heard Hisham Ibn Hakim Ibn Hizam reading Surat Al-Furqan in a different way from the one I used to read it, and the Prophet himself had read out this surah to me. Consequently, as soon as I heard him, I wanted to get hold of him. However, I gave him respite until he had finished the prayer. Then I got hold of his cloak and dragged him to the Prophet. I said to him: "I have heard this person [Hisham Ibn Hakim Ibn Hizam] reading Surah Al Furqan in a different way from the one you had read it out to me." The Prophet said: "Leave him alone [O 'Umar]." Then he said to Hisham: "Read [it]." [Umar said:] "He read it out in the same way as he had done before me." [At this,] the Prophet said: "It was revealed thus." Then the Prophet asked me to read it out. So I read it out. [At this], he said: "It was revealed thus; this Quran has been revealed in Seven Ahruf. You can read it in any of them you find easy from among them. And to me the best opinion in this regard is that of the people who say that this Hadith is from among matters of mutashabihat, the meaning of which cannot be understood. Abu Abd Al-Rahman al-Sulami reports, "the reading of Abu Bakr, Umar, Uthman and Zayd ibn Thabit and that of all the Muhajirun and the Ansar was the same. They would read the Quran according to the Qira'at al-'ammah. This is the same reading which was read out twice by the Prophet to Gabriel in the year of his death. Zayd ibn Thabit was also present in this reading [called] the 'Ardah-i akhirah. It was this very reading that he taught the Quran to people till his death". Ibn Sirin writes, "the reading on which the Quran was read out to the prophet in the year of his death is the same according to which people are reading the Quran today". From Abu Hurairah: The Messenger of Allah said: "The Quran was sent down in seven ahruf. Disputation concerning the Qurʾan is unbelief" - he said this three times - "and you should put into practice what you know of it, and leave what you do not know of it to someone who does." From Abu Hurairah: The Messenger of Allah said: "An All-knowing, Wise, Forgiving, Merciful sent down the Qur'an in seven ahruf." From ʿAbdallâh Ibn Masʿūd: The Messenger of Allah said: "The Quran was sent down in seven ahruf. Each of these ahruf has an outward aspect (zahr) and an inward aspect (batn); each of the ahruf has a border, and each border has a lookout." Abu Qilaba narrated: It has reached me that the Prophet said: "The Quran was sent down according to seven ahruf: command and prohibition, encouragement of good and discouragement of evil, dialectic, narrative, and parable." Bilal Philips writes that the Quran continued to be read according to the seven ahruf until midway through Caliph 'Uthman's rule when some confusion arose in the outlying provinces concerning the Quran's recitation. Some Arab tribes had begun to boast about the superiority of their ahruf and a rivalry began to develop. At the same time, some new Muslims also began mixing the various forms of recitation out of ignorance. Caliph 'Uthman decided to make official copies of the Quran according to the writing conventions of the Quraysh and send them along with the Quranic reciters to the major centres of Islam. This decision was approved by Sahaabah and all unofficial copies of the Quran were destroyed. Uthman burned the unofficial copies of the Quran. Following the distribution of the official copies, all the other ahruf were dropped and the Quran began to be read in only one harf. Thus, the Quran which is available throughout the world today is written and recited only according to the harf of Quraysh. And when we would meet Ibn Shihab, there would arise a difference of opinion in many issues. When any one of us would ask him in writing about some issue, he, in spite of being so learned, would give three very different answers, and he would not even be aware of what he had already said. It is because of this that I have left him – something which you did not like. It is said that Abu 'Ubayd Qasim Ibn Sallam (d. 224 AH) selected twenty five readings in his book. The seven readings which are famous in current times were selected by Abu Bakr Ibn Mujahid (d. 324 AH) at the end of the third century hijrah. Thus it is generally accepted that their number cannot be ascertained but every reading is Quran which has been reported through a correct chain of narration, are found in any way in the masahif prepared by 'Uthman and are correct from any aspect as far as the Arabic language is concerned. Some of these readings are regarded as mutawatir; however, a look at their chains of narration which are found in books leaves no doubt that they are ahad (isolate), most narrators of which are suspect in the eyes of the rijal authorities. To ensure correct reading of the written texts of the Quran, particularly for those coming after the first generation of Muslims, steps were taken gradually to improve the orthography. This started by introducing dots to indicate different vowels and nunation and these were put in different coloured ink from that of the text. There were also dots to distinguish between consonants of similar shape. This work was carried out chiefly by three men: Abu'l Aswad ad-Du'alî (d. 69 / 688), Naṣr Ibn ʿĀṣim (d. 89 / 707) and Yaḥya Ibn Yaʿmur (d.129 /746). Understandably there was some opposition at first to adding anything to the way the Qurʾān was written. Ibn ʿUmar (73/692) disliked the dotting; others welcomed it, clearly because it was, in fact, doing no more than ensuring proper reading of the Quran as received from the Prophet, and this view was accepted by the majority of Muslims throughout the different parts of the Muslim world, from the time of the tabiʿun. The people of Madinah were reported to have used red dots for vowels - tanwin, tashdid, takhfif, sukun, waṣl and madd and yellow dots for the hamzas in particular. Naqt (placing dots on the rasm), became a separate subject of study with many books written on it. For any given recitation to be accepted as authentic (Sahih), it had to fulfill three conditions and if any of the conditions were missing such a recitation was classified as Shâdhdh (unusual). The first condition was that the recitation has an authentic chain of narration in which the chain of narrators was continuous; the narrators were all known to be righteous and they were all known to possess good memories. It was also required that the recitation be conveyed by a large number of narrators on each level of the chain of narration below the level of Sahaabah (the condition of Tawaatur). Narrations which had authentic chains but lacked the condition of Tawaatur were accepted as explanations (Tafseer) of the Sahaabah but were not considered as methods of reciting the Quran. As for the narrations which did not even have an authentic chain of narration, they were classified as Baatil (false) and rejected totally. The second condition was that the variations in recitations match known Arabic grammatical constructions. Unusual constructions could be verified by their existence in passages of pre-Islamic prose or poetry. The third condition required the recitation to coincide with the script of one of the copies of the Quran distributed during the era of Caliph Uthmân. Hence differences which result from dot placement (i.e., ta'maloon and ya'maloon) are considered acceptable provided the other conditions are met. A recitation of a construction for which no evidence could be found would be classified Shaadhdh. This classification did not mean that all aspects of the recitation was considered Shaadhdh, it only meant that the unverified constructions were considered Shaadhdh. Warsh 110 AH 197 AH - 812 CE 'Uthman Ibn Sa'id al-Qutbi Egyptian; client of Quraysh Al-Andalus, Algeria, Morocco, parts of Tunisia, West Africa and Sudan and parts of Libya. 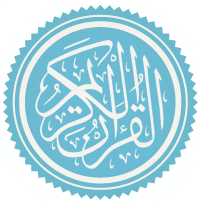 Abu 'Amr Ibn al-'Ala' 68 AH 154 AH - 770 CE Zuban Ibn al-'Ala' at-Tamimi al-Mazini, al-Basri Al-Duri 150 AH 246 AH - 860 CE Abu 'Amr, Hafs Ibn 'Umar Ibn 'Abd al-'Aziz al-Baghdadi Grammarian. Blind. Parts of Sudan and West Africa. Ibn Amir ad-Dimashqi 8 AH 118 AH - 736 CE 'Abdullah Ibn 'Amir Ibn Yazid Ibn Tamim Ibn Rabi'ah al-Yahsibi Hisham 153 AH 245 AH - 859 CE Abu al-Walid, Hisham ibn 'Ammar Ibn Nusayr Ibn Maysarah al-Salami al-Dimashqi Parts of Yemen. Hafs 90 AH 180 AH - 796 CE Abu 'Amr, Hafs Ibn Sulayman Ibn al-Mughirah Ibn Abi Dawud al-Asadi al-Kufi Muslim world in general. In this section, the chain of narration or isnad of each Qirâʾât will be presented. It is worth noting that the chains of narration here are mutawâtir. Qirâʾa from Madinah: The reading of Madinah known as the reading of Nâfiʿ Ibn Abî Naʿîm (more precisely Abû ʿAbd ar-Raḥmân Nâfiʿ Ibn ʿAbd ar-Raḥmân). Nâfiʿ died in 169 H. He reported from Yazîd Ibn al-Qaʿqâʿ and ʿAbd ar-Raḥmân Ibn Hurmuz al-'Araj and Muslim Ibn Jundub al-Hudhalî and Yazîd Ibn Român and Shaybah Ibn Nisâʾ. All of them reported from Abû Hurayrah and Ibn ʿAbbâs and ʿAbdallâh Ibn 'Ayyâsh Ibn Abî Rabî'ah al-Makhzûmî and the last three reported from Ubayy Ibn Kaʿb from the Prophet. From Nâfiʿ, two major readings came to us: Warsh and Qâlûn. Qirâʾa from Makkah: The reading of Ibn Kathîr (ʿAbdullâh Ibn Kathîr ad-Dârî): Ibn Kathîr died in 120 H. He reported from ʿAbdillâh Ibn Assa'ib al-Makhzûmî who reported from Ubayy Ibn Kaʿb (The companion of the Prophet). Ibn Kathîr has also reported from Mujâhid Ibn Jabr who reported from his teacher Ibn ʿAbbâs who reported from Ubayy Ibn Kaʿb and Zayd Ibn Thâbit and both reported from the Prophet. Qirâʾa from Damascus: From ash-Shâm (Damascus), the reading is called after ʿAbdallâh Ibn ʿAamir. He died in 118 H. He reported from Abû ad-Dardâ' and al-Mughîrah Ibn Abî Shihâb al-Makhzûmî from ʿUthmân. Qirâʾa from Basrah: The reading of Abû ʿAmr from Basrah: (According to al-Sabʿah, the book of Ibn Mujâhid page 79, Abû ʿAmr is called Zayyan Abû ʿAmr Ibn al-ʿAlâʾ. He was born in Makkah in the year 68 and grew up at Kûfah.) He died at 154 H. He reported from Mujâhid and Saʿîd Ibn Jubayr and ʿIkrimah Ibn Khâlid al-Makhzûmî and ʿAtâʾ Ibn Abî Rabâh and Muhammad Ibn ʿAbd ar-Rahmân Ibn al-Muhaysin and Humayd Ibn Qays al-ʿA'raj and all are from Makkah. He also reported from Yazîd Ibn al-Qaʿqâʿ and Yazîd Ibn Rumân and Shaybah Ibn Nisâ' and all are from Madinah. He also reported from al-'Assan and Yahyâ Ibn Yaʿmur and others from Basrah. All these people took from the companions of the Prophet. Qirâʾa from Basrah: From Basrah, the reading known as Yaʿqûb Ibn Ishâq al-Hadramî the companion of Shuʿbah (again). He reported from Abû ʿAmr and others. Qirâ'a from Kûfah:The reading of ʿĀsim Ibn Abî an-Najûd (ʿAasim Ibn Bahdalah Ibn Abî an-Najûd): He died in 127 or 128 H. He reported from Abû ʿAbd ar-Raḥmân as-Solammî and Zirr Ibn Hubaysh. Abû ʿAbd ar-Rahmân reported from ʿUthmân and ʿAlî Ibn Abî Tâlib and 'Ubayy (Ibn Kaʿb) and Zayd (Ibn Thâbit). And Zirr reported from Ibn Masʿud. Two readings were reported from 'Asim: The famous one is Hafs, the other one is Shu'ba. Hafs was 'Asim's step-son and it is believed that he didn't differ from him in his reading of the Quran. 'Asim also retained the reading of his teacher Abu 'Abd al-Rahman al-Sulami and it reported that the latter had read the Quran out to the Commander of the Believers, 'Ali ibn Abi Talib. The case can therefore be made that the reading of Hafs is exactly the same as the reading of 'Ali which he inherited from the Prophet to the very last dot. Qirâʾa from Kûfah: The reading of Hamzah Ibn Habîb (from Kûfah as well) Hamzah was born in the year 80 H and died in 156 H. He reported from Muhammad Ibn ʿAbd ar-Rahmân Ibn Abî Laylâ (who reads the reading of ʿAlî Ibn Abî Tâlib, according to the book of Ibn Mujâhid called al-Sabʿah - The Seven - page 74) and Humrân Ibn A'yan and Abî Ishâq as-Sabî'y and Mansur Ibn al-Mu'tamir and al-Mughîrah Ibn Miqsam and Jaʿfar Ibn Muhammad Ibn ʿAlî Ibn Al-Husayn Ibn ʿAlî Ibn Abî Tâlib from the Prophet via ʿAlî Ibn Abî Tâlib. Qirâʾa from Kûfah: The reading of al-'Amash from Kûfah as well: He reported from Yahyâ Ibn Waththâb from 'Alqamah and al-'Aswad and 'Ubayd Ibn Nadlah al-Khuzâ'y and Abû ʿAbd ar-Raḥmân as-Sulamî and Zirr ibn Hubaysh and all reported from Ibn Masʿud. Qirâaa from Kûfah: The reading of Ali Ibn Hamzah al-Kisâ'i known as al-Kisâ'i from Kûfah. He died in 189 H. He reported from Hamzah (the previous one) and ʿIsâ Ibn Umar and Muhammad Ibn ʿAbd ar-Raḥmân Ibn Abî Laylâ and others. The recitation (قراءة) of 'Aasim, the narration (رواية) of Hafs on the authority of 'Aasim, from the way (طريق) of 'Amr or al-Feel, or al-Waliy, or al-Hammaami, or al-Misbaah, or al-Nashr. Abu Ja'far Ya'qoob Khalaf This poem actually completed the Shatibiyyah poem, whereby both poems combine between the 10 authentically narrated Qiraa'aat. Tayyibat al-Nashr: It is the poem written by Ibn al-Jazari whereby he also recorded the 10 Qiraa'aat, but this time he didn't restrict himself to the ways (طُرُق) that were recorded in Shatibiyyah and Durrah. He added many more طرق in Tayyibah. ^ a b Malik Ibn Anas, Muwatta, vol. 1 (Egypt: Dar Ahya al-Turath, n.d.), 201, (no. 473). ^ Suyuti, Tanwir al-Hawalik, 2nd ed. (Beirut: Dar al-Jayl, 1993), 199. ^ Zarkashi, al-Burhan fi Ulum al-Qur'an, 2nd ed., vol. 1 (Beirut: Dar al-Fikr, 1980), 237. ^ Suyuti, al-Itqan fi Ulum al-Qur'an, 2nd ed., vol. 1 (Baydar: Manshurat al-Radi, 1343 AH), 177. ^ a b c d e f Abû Jacfar Muhammad bin Jarîr al-Tabarî (Translated & Abridged by J Cooper, W F Madelung and A Jones), Jamic al-Bayân 'an Tâ'wil ay al-Qur'an, 1987, Volume 1, Oxford University Press & Hakim Investment Holdings (M.E.) Limited, p. 16. ^ Ibn Qayyim, I'lam al-Muwaqqi'in, vol. 3 (Beirut: Dar al-Fikr, n.d.), 96. Gade, Anna M. Perfection Makes Practice: Learning, Emotion, and the Recited Qur'ân in Indonesia. Honolulu: University of Hawaii Press, 2004. Online Quran Project Community Site. This page was last edited on 9 April 2019, at 19:39 (UTC).